World Champion Magnus Carlsen has defended one of his other World Championship titles, the World Rapidplay Champion, winning the 2015 event in Berlin. Leading going into the final day, Carlsen beat Zhigalko and Ivanchuk in the first 2 rounds, and after that the pack could not run him down. While winning this title isn't a surprise, the fact that Carlsen has signed on to the Qatar Masters is. For a reigning World Champion to play in an Open Swiss (albeit one with a lower limit of 2300) is very unusual, as most top ranked players normally avoid risking rating pints against lower ranked opponents. But the growth in big money events (with good conditions) seems to be changing the attitude towards swisses (Millionaire Chess being an obvious example), so maybe his decision isn't as much a surprise as a recognition that the older way of doing things is changing. There was a bit of a blow up at the 2015 Millionaire Chess tournament, when Hikaru Nakamura and Luke McShane drew their round 7 game in 9 moves. Although the contracts they signed seemed to preclude draws in under 30 moves, by move 9 they had repeated the position 3 times and under the FIDE Laws of Chess, a draw was a perfectly legal result. Of course the organisers were not happy about this, and the usual discussion about sponsors, presentation and the mythical TV audience sprung up. However the result stood, and both players qualified for a playoff to determine the tournament semi-finalists (which was the point of the short draw in the first place). Interestingly, in the playoff Nakamura then beat Bareev in 11 moves. Although the game was played at a rapid time limit (G/15), it does raise the same sort of questions concerning the presentation of an event. As chess isn't a fixed time sport (like tennis, but unlike football), is there a significant difference between an 11 move draw and an 11 move win. In both cases the sponsors and spectators are expecting a lot more chess than they get to see, the only difference is that one player probably blundered in the latter case. And for events that apply penalties for quick draws (financial or otherwise) will players who lose to quickly become subject to the same penalties in the future! I'm not sure spending most of the day watching the car racing from Bathurst counts as a waste of a day, or an affirmation of Australian culture. But I did spend a few hours in front of the TV, between bike riding, chess meetings and gardening. The race itself was made more exciting by the occasional showers, meaning that each lap wasn't as predictable as the previous one. Although I did not watch all of it, or even the finish, I did get to watch it long enough to hear one of the commentators say "The game of chess continues". And that was enough for me. Another entry for the IAGOCOT files. Sometimes there are no international chess events, then three all turn up at the same time (apologies for such an old joke). Currently running over this weekend is the World Blitz and Rapid, the Isle of Man International, and Millionaire Chess from Las Vegas. Each of these events has attracted a strong field, which is a little surprising as there was the potential for at least one event to suffer from the clash. Each event is headlined by some big names with lots of the World's top 10 in action. Nakamura, Caruana and So have all headed to Las Vegas, while Carlsen and Anand are in Berlin for the Rapid. For the Isle of Man, a number of top English players are taking part, including Michael Adams, Nigel Short and Gawain Jones. Adam's had a very quick win early in the tournament, when his opponent missed a couple of strong knight moves. Resignation as early has move 8 would have been justified but the game went on for a little longer. Today at the ACT Juniors I saw what might be the 'troll-iest' opening line ever. The game started normally with 1.e4 e5 2.Nf3 Nc6 3.Bb5 Nf6 4. O-O Then Black unleashed 4. ... Ng4?!? Now before you mock this move too much I'd like to point out my database has 8 games with this move and a score of +1=3-4 for White! 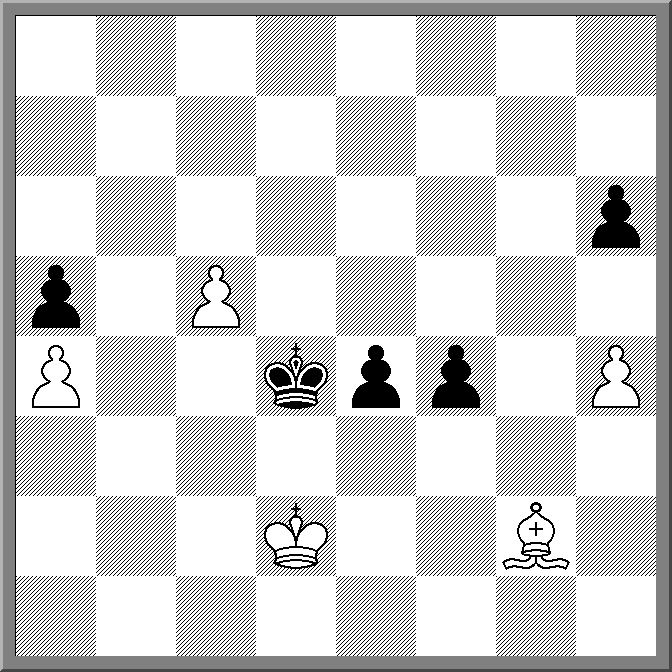 The obvious intent is to provoke h3, and then meet it with h5! 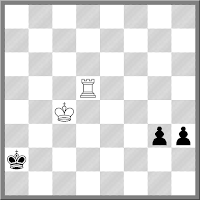 If White takes Black is just winning after hxg4, while leaving the knight on g4 helps black play moves like Bc5 etc. The game in question went 5.h3 h5 6.Nc3 Bc5 7.d3 d6 8.Bxc6 bxc6 9.Bg5 Nf6 10.d4 exd 11.Nxd4 Bb7 when 12.Nf5 is very strong. 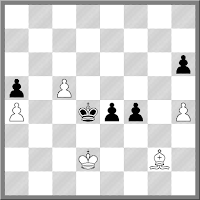 Unfortunately White chose 12.Nf3 instead and Black eventually won after using the open b file to grab some pawns. As I don't have the full game score to hand, I'll instead show you an earlier game, also played in Australia. White decides not to go in for the h3 line, but Black still tosses in h5 and after playing Qh4 is winning up until the end. The 2015 ACT Junior Chess Championship is currently underway, and I doing duty as an assistant arbiter to WIM Emma Guo. The tournament is being run as one big swiss (50 players) with players from 18 years down to 5 years of age. It is a FIDE Rated event so everything is being done exactly by the book (as it would be for any event) and this has lead to some interesting situations already. Three minutes into the first round there was already an issue with castling, and a double whammy at that. Play A correctly claimed that Player B had both castled into check, and had touched his rook first before doing so. Normally these things happen separately, but in this case, after the 2 minute time bonus was awarded Player B had to move the rook rather than the king. The second case also involved castling but was stranger (and funnier). One of the top seeds asked me what happens if an illegal move is played, but not noticed/claimed until later in the game. "Show me" was my initial reply and I set of to investigate. It turns that the one of the player had illegally castled early in the game (7.Kxd1 followed by 8.O-O-O with the king ending up on g1!) but only realised they had done something wrong around move 35(!) when the game was almost finished. Rule 7.5a comes into play here, and the game was rewound all the way back to move 8 (and the clocks reset to the time at move 8). 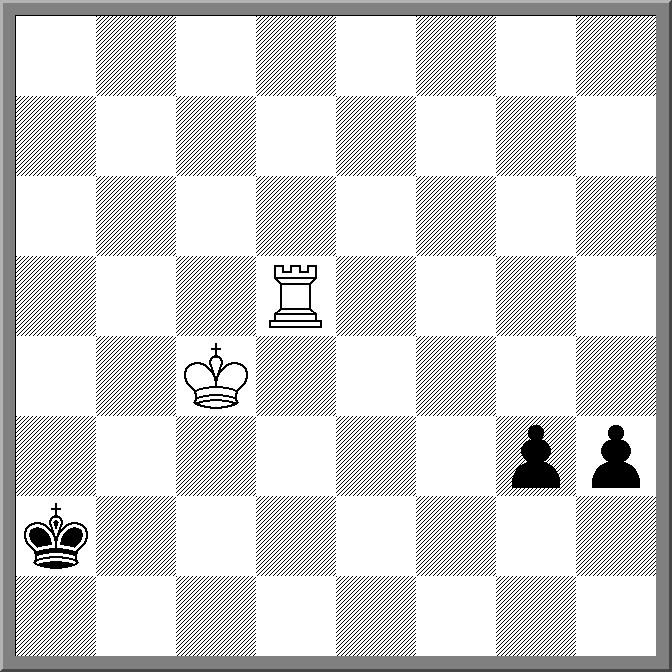 Again a 2 minute bonus was given to the opponent but in this case the king had to be moved. Apart from that the event has run pretty well, with most games sticking to the rules. The final day is tomorrow (3 rounds), with Fred Litchfield out in front and favourite to win the title. As a coaching book, "Logical Chess: Move by Move" is quite a fun text. Certainly the section on Kingside Attacks is a step above the "wait till your opponent blunders and mate on f7" examples that you see when starting out, while not being too inaccessible to the improving player. On the other hand, most of the attacks do follow a similar formula. Aim a few pieces at the kingside, eliminate a key defender (usually the knight on f6), and then smash through on h7. The always excellent "Drunk History" has just featured the 1972 Fischer v Spassky match in its most recent episode. Sadly for Australian viewers, it is either a long wait until SBS get around to showing series 3, or finding it on one of the subscription tv services that are starting to pop up. Annoyingly even the preview is blocked from Australian IP addresses. I held of posting last night as I thought that Peter Svidler was likely to half out his final game and win the 2015 World Cup KO 2.5-1.5. This opinion was based on nothing more than a "surely he can't lose this" hunch, as he had started the 4 game match with 2 wins. Turns out my hunches aren't always good, and Svidler did indeed lose game 4 of the match. He then compounded by this by losing the first game of today's rapid playoff making it three losses in a row, also known as 'Long Castling' (0-0-0). Currently they are playing the second rapidplay game (a must win for Svidler), and while Svidler is better at move 40, he may not be better enough. Here is last nights games, which probably contains some important lessons. Firstly, the opening choice by Svidler was not that impressive (offering mass exchanges in the opening tend to favour the other player) while the endgame saw both a better pawn structure and RBvRN turning out better for Karjakin. Street Chess has had a number of odd happenings this year, and to the list you can now add a new one. Bomb Scare! While I was in Sydney at a Correspondence Chess League of Australia meeting, the event was being run by Stephen Mugford and Harry Press. Around 2 o'clock Harry rang me to tell me that the tournament had been abandoned due to a bomb scare. Apparently a package had been left unattended outside a nearby restaurant and the police were evacuating the area. At first the players moved to our backup venue before the evacuation zone was expanded, at which point entry fees were refunded an everyone went home. A bit of a shame as apparently the 17 player event was running quite well, and the Canberra weather was excellent for outdoor chess. So to the list of reasons for stopping a tournament (that previously included thunderstorm, heart attack, and stolen laptop) bomb scare can now be added. Logged in late to watch the second game of the 2015 World Cup Final, and thought they were replaying the first game for a second. The I realised that the colours had changed, but the result had not. For the second day in a row Karjakin blew up against Svidler, resigning down material. And while yesterdays game was kind of a slow motion car crash, in this game Karjakin seemed to take a hard left straight into the wall. He took less than a minute to decide on the losing move (37.Rb5) and after following it up with another clunker, resigned. So Svidler 2-0 up at the half way point, and only needing a draw to win the event. I would have thought the first game of the Final of the 2015 World Cup would have been a peaceful draw. With 4 games rather than 2, the players could have taken it easy, checked out their opponents prep, and shaken hands around move 30. Instead Karjakin got cracked in 29 moves, with the end of the game looking particularly ugly. After a closed opening, the position opened up in Svidler's favour. 20.Qb3 seemed to be the turning point of the game, as after that Karjakin had to meet a succession of threats, with his position getting steadily worse. By move 26 Svidler was totally winning, and Karjakin resigned a few moves later. I suspect winning opening novelties are getting harder to come by these days, as (a) a lot of them have been found in the past and (b) computers. These means that anything really fun is most likely to occur in an obscure line which might take years before someone plays it against you. An example of this, from one of my own games, did not happen the other night. It was a blitz game, and my opponent kindly went down the main line of the Traxler (no wimpy Bxf7+ thank you). He was even generous enough to grab my knight on move 9, a move that I remembered was supposed to be bad, but for reasons that escaped me. It turns out that it this opinion may not be accurate (in the computer age), but the line he did play was still god for me. That is, if I managed to find 13. ... Be6!! over the board. Turns out I did not, going for the obvious 13. ... Bh3+ which only lead to a perpetual. Now I don't know whether this move had been found in analysis, but it certainly didn't turn up in my database. So if you ever get the position after move 12 on the board, you now know what to do!